We earn trust everyday by using our resources to deliver innovative solutions with personalized service. We help families and individuals achieve economic security. No matter where people are - homeless, struggling to keep their home, or stably housed - Metro Housing can help. Team Metro Housing completed the 2019 Boston Marathon on April 15. Their participation was made possible by John Hancock’s Marathon Nonprofit Program. Don’t go homeless. Help is available for you and your family. 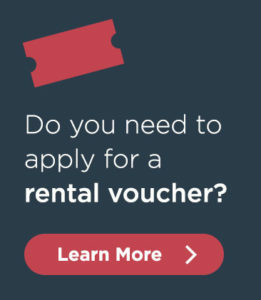 Find and apply for the housing voucher that is right for you. Find the answers to your housing questions and the people that can help. Help individuals and families find affordable housing by listing your vacant apartments. All Section 8 rental units must meet Housing Quality Standards. Our analysts determine rents based on what is “reasonable” in the current market. Your donation enables us to help more families find a home and keep it. Your gifts help make a positive impact on thousands of lives each year. Get involved to help families and individuals achieve housing stability. Metro Housing|Boston is committed to equal opportunity and access to housing for all by incorporating fair housing principles into all of its services. We are passionate about families thriving in homes they can afford. When Stephen suffered a severe stroke last year, his family did not think he was going to make it. Read how Metro Housing and the Home Modification Loan program helped Stephen have a place to call home – within his home. Metro Housing|Boston alleviates and prevents homelessness in Greater Boston. We mobilize wide-ranging resources to provide innovative and personalized services that lead families and individuals to housing stability, economic security, and an improved quality of life. Our highly customized services address a wide range of housing related issues to help residents of Greater Boston who are homeless or at risk of losing their home understand and navigate the public and private services available to them.